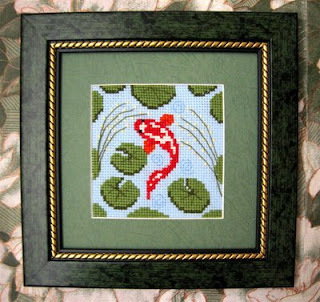 Maria sent me this photo of her beautifully stitched and framed Koi Pond! Thanks, so very much, Maria, for stitching the design and sharing the photo but even more so for the kind, heartwarming message you sent with it! Beautiful! Love the framing too!